Once you’ve trimmed the Christmas tree, decorated the banisters its time to head outside to dress your front door for the festive holidays, it is after all the first thing your children see when they arrive home from school for the Christmas holidays or your guests see on Christmas day – and of course the neighbours. Times are changing from the traditional wreaths & Holly to more modern signage and door bows. We all want to have the have the prettiest house on the street, adding lights & animation to front gardens now too. 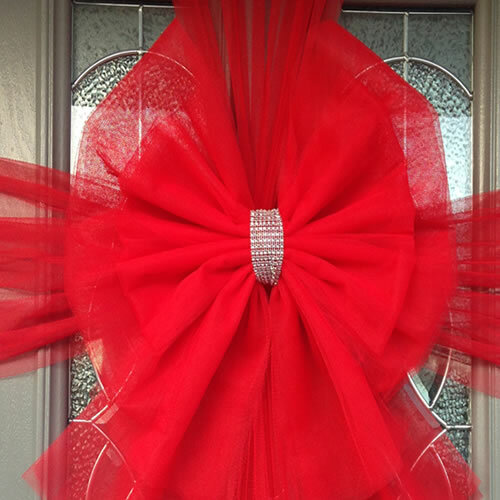 Pretty Christmas door decorations like door bows – now would it really be Christmas without seeing these beautiful bows adorning shop fronts, garages & front doors at home now? Drive down streets over Christmas and see all doors looking beautiful. From just a few years ago we were satisfied with a wreath or HoHoHo sign but now we must wrap our doors like beautiful gifts under your Christmas Tree. This is an ideal way to decorate a door especially as so many modern doors are without fixings for a traditional wreath and the style of the house suits a Pretty Christmas door decoration much better. 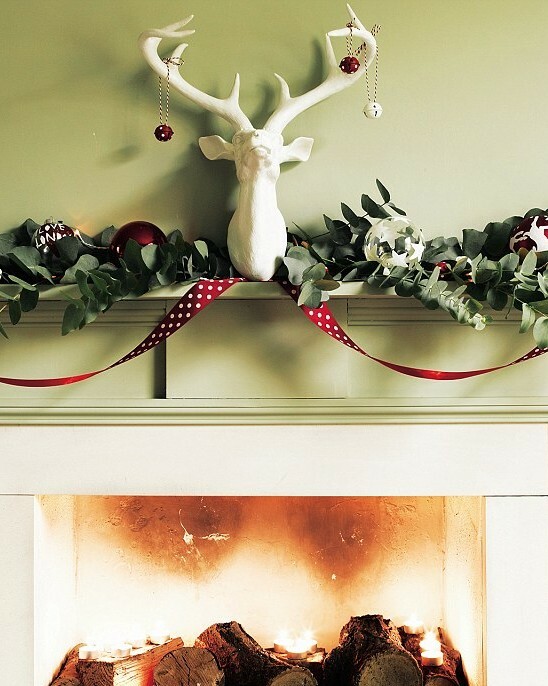 Door bows are easy to co-ordinate with your Christmas decor. The trend started in Europe and has gradually infiltrated our festive decorating over the last few years, often seen on TV and celebrity homes. 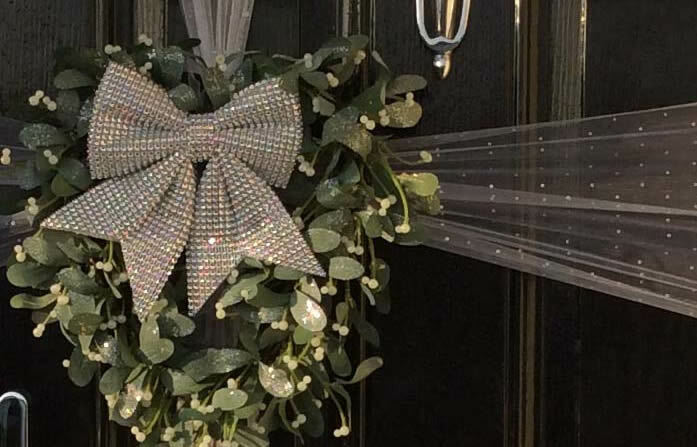 From standard red door bows with glitter & diamante, to a snow white with snowflakes & perhaps a shimmering silver door bow with pom poms, businesses and front doors can be wrapped as gifts in a few easy steps. A big gift tag is often added too, great way to advertise your festive offerings or to welcome your Christmas guests to your home. This year has seen the rise of door bows being used for baby showers, festivals, birthday celebrations & Halloween. With over 100 different bow colours available customers can choose their own imaginative combinations to personalise their entrances, windows, front doors, cars & garages. As market leaders, we have been making bows since 2003 – us at www.DoorBows.co.uk supply a complete pack with easy instructions to allow business or homeowners to attach their own bows in the age of DIY and saving money, if you can tie a ribbon around a box you can wrap your door. It is so important that Door bows should be made of the correct material – often not by inexperienced bow makers in the marketplace. We use a stiff specialist weatherproof netting that withstands most of what winter can throw at us, so bows can be used year on year, and not wilt or stretch as the winter weather takes hold. Who would want a droopy bow ! We’ve been producing big bows since 2003 – we know what we are doing. This entry was posted in CHRISTMAS BOWS. Bookmark the permalink.